Maybe I’d borrowed a songbook too, but I do remember this much about the day in May, 1970, that I sat down and started teaching myself how to play the guitar. Making music was nothing new. I’d been playing the drums for about five years, singing for several years longer than that and fooling around with a small, electric organ since the previous Christmas. The acoustic guitar on my lap was on loan to me from my friend and band mate, Jim. Somehow, the guitar was in-tune and my left hand managed to find the right combination of strings and the frets to finger them at so that my tentatively down-strumming right hand could produce a minor chord (E) and a major chord (D). My ears recognized those two chords as being just like the two chords in the chorus of a song called “The End” from an album by The Doors that I’d listened to often. By the end of the afternoon, my soul realized that strumming those two chords and singing that lyric – “This is the end, beautiful friend” – over and over and over had been the perfect salve for my 16-year-old, recently broken heart. A month or two later, when I bought my own guitar, I bought a songbook to go with it. The publication I selected from the racks at Exeter Music was titled: Ramblin’ Boy and other songs by Tom Paxton. 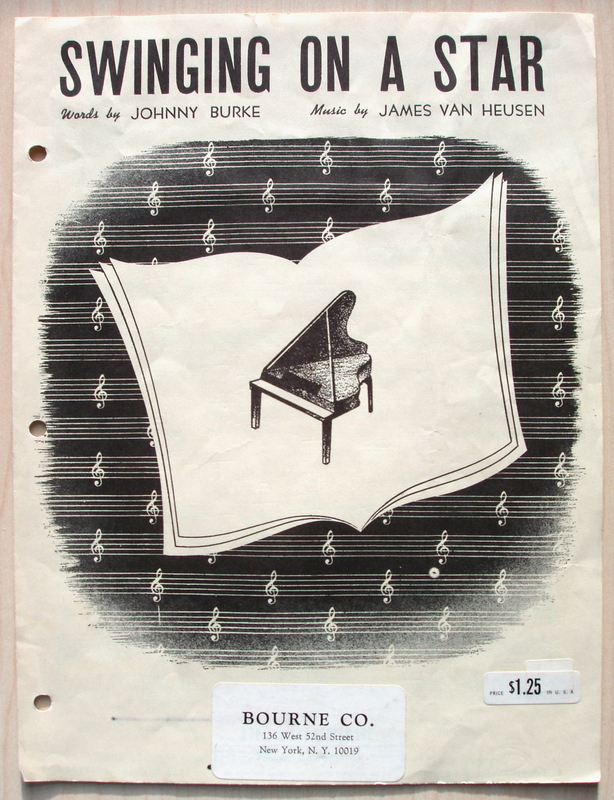 The folio contained 41 songs by the prolific and somewhat well known Greenwich Village songwriter. The ones I liked the most – “Deep Fork River Blues,” “I Can’t Help But Wonder (Where I’m Bound),” “The Marvelous Toy” and “The Last Thing On My Mind” – provided many hours of thoroughly enjoyable practice as I slowly got better at coaxing music from my brand-new, chocolate-brown, steel-string Harmony acoustic guitar. Bob Dylan’s Greatest Hits – The matching 1967 LP contained 10 songs; the songbook had 12. Only seven songs were in each. 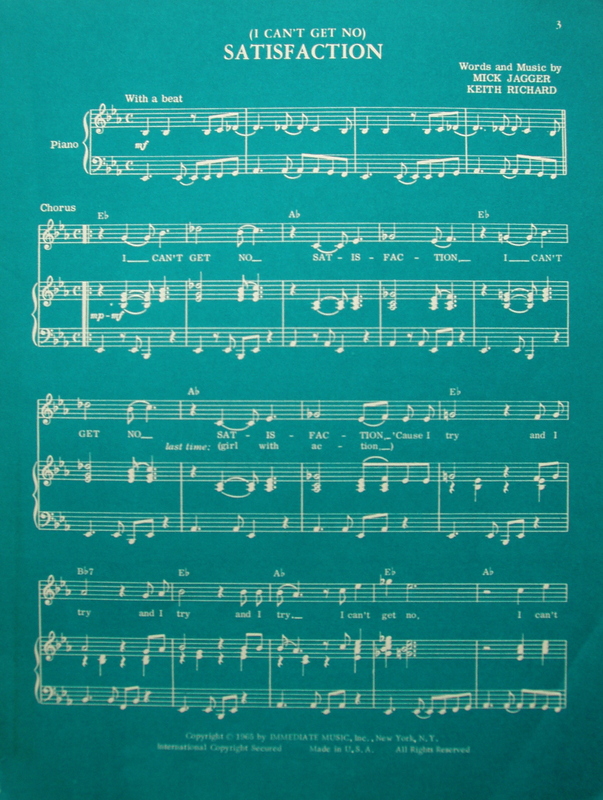 But the songbook’s key-of-G transcription of “Don’t Think Twice, It’s All Right” (a song which later appeared on Greatest Hits, Vol.2) is the one I play to this day. The Rolling Stones Anthology – I learned “Ruby Tuesday” and “Lady Jane” from this one, as well as the not-so-well known album tracks “Back Street Girl” and “Sittin’ On A Fence.” This is still the only music publication I’ve ever seen where the music is printed in white ink on deep, blue-green colored paper. But the sheet music I purchased at a music store in Boston, a few doors down from Symphony Hall, contained chord fingerings and changes I’d never had to negotiate in a Tom Paxton, Bob Dylan or Rolling Stones song. 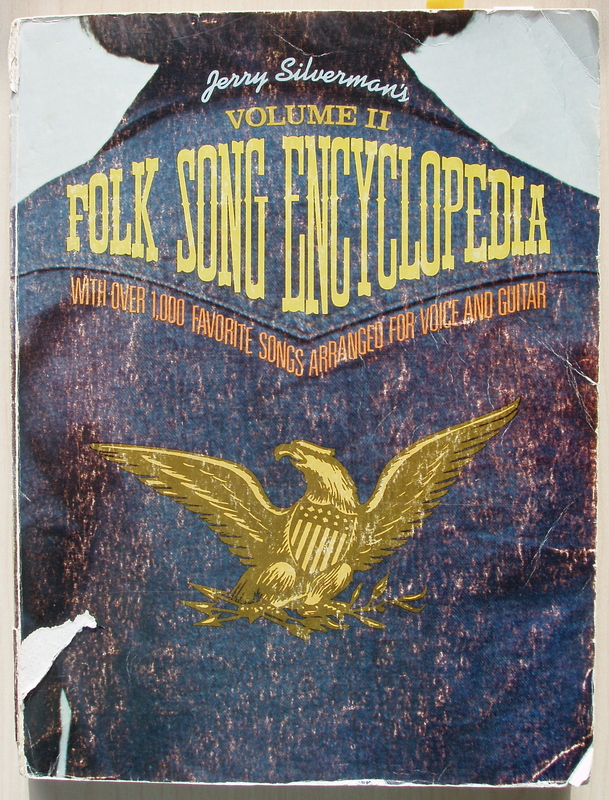 I learned dozens of songs from this priceless and inspirational 431-page collection including: “Deep River Blues,” “Stealin’, Stealin’,” “Jelly Roll Blues,” “Crawdad Song,” “Roll In My Sweet Baby’s Arms” and “Charlie Mopps.” I eventually found Volume I to complete the set. Over the years, my library of songbooks and sheet music has grown impressively. The many volumes and binders fill a shelf over my desk, in the den of my house, as well as a long shelf on a bookcase down in the basement and an entire three-shelf-tall, homemade bookcase in my teaching studio. My most recent purchase: a guitar-TAB songbook containing note-for-note transcriptions of the songs from Mumford & Sons very popular debut album Sigh No More. I bought it this past Labor Day weekend at a music store in Washington, D.C., not far from my son’s apartment. Exploring, studying and learning from the printed music that fills those countless pages has been a huge and essential part of my musical education and my development as a guitarist and as a songwriter. Those songbooks and pieces of sheet music have also been a major source of the music that still brings great joy every single day to my life. This entry was posted in Random Topics and tagged Jerry Silverman, Sheet music, Songbooks, Swinging On A Star, Tom Paxton. Bookmark the permalink. I haven’t thought about Tom Paxton in years. What came into my head quickly were the songs, Talking Vietnam Pot Luck Blues (Did I get the title right?) and Bottle of Wine. And the Greek Fisherman’s hat he wore.